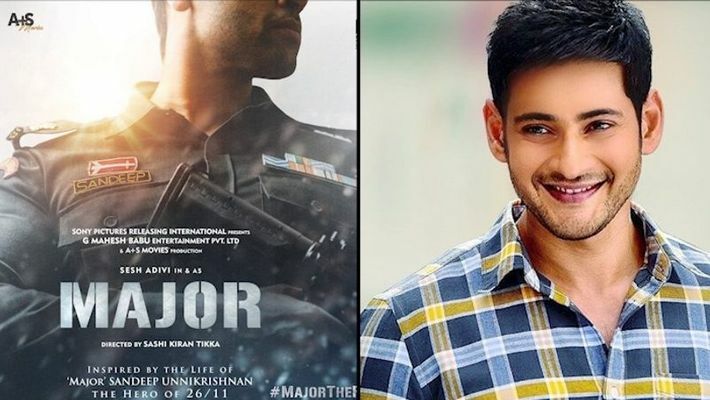 Sony Pictures International Productions is joining hands with Mahesh Babu for Telugu film, Major based on the life of 2008 Mumbai terror attack martyr Major Sandeep Unnikrishnan. The bilingual film, which is the studio's foray into Telugu industry, will be made under the South star's production house G Mahesh Babu Entertainment (GMB). Major is inspired by the life of Major Sandeep, the brave NSG commando, who saved several hostages during the 26/11 attack at the Taj Mahal Hotel in Mumbai and sacrificed his life for the nation. Major Sandeep was decorated with the Ashoka Chakra, India's highest military honour in peacetime. Actor Adivi Sesh will play the lead and has also penned the film. Major will be directed by Shashikiran Tikka. The actor-director duo have already collaborated on 2018's hit Goodachari. Vivek Krishnani, MD, Sony Pictures Entertainment in India, said the team is looking forward to the project. "We are excited to partner with Mahesh and Namrata who are such creative forces and are equally thrilled to welcome them in the Hindi film industry. Sesh and Shashi make their debut in Hindi cinema and we absolutely love the passion with which they have envisioned Major," Krishnani said in a statement. Previously, Sony joined hands with Malayalam star Prithviraj Sukumaran for "Nine", which released February 7. The Malayalam film is a sci-fi horror thriller, with which the actor is making his production debut through his banner Prithviraj Production. The movie was co-produced by Sony Pictures India and marks the studio's maiden venture into the South industry. Former actor and MD, G Mahesh Babu Entertainment Namrata Shirodkar Ghattamaneni said she with her husband Mahesh Babu always wanted to tell stories that resonate globally. "We are excited to be able to tell such a unique and original story about a National hero's life. The honesty of Sesh and Sashi's vision for Major's story echoed with us and in Sony Pictures we found the right partners to bring the incredible story on the big screen not only for a Pan-Indian audience, but an international one," Ghattamaneni said. The film also marks GMB's entry into Hindi cinema. Major is co-produced by Adivi Entertainment and Sharath Chandra and Anurag Reddy's A+S Movies. Shooting is set to begin this summer and the makers are eyeing a 2020 release date.